Ethan Gilson, a graduate of Emerson College (1998, BFA, Design Technology - Lighting), has 25+ years of experience working in the entertainment rigging and lighting industry. He began his career as an equipment specialist/technician, and, upon completing his degree, took on the role of lighting designer at Advanced Lighting and Production Services, Inc. (ALPS). As his career developed, Gilson distinguished himself as a rigging specialist—designing rigging systems for portable and permanent installations. Today, he is the ETCP (Entertainment Technicians Certification Program) Rigging Specialist for 4Wall Entertainment. Gilson has worked in venues of diverse size and function including, but not limited to: hotel ballrooms, Las Vegas convention centers and arenas, New York theatres, and outdoor festivals. Gilson has been inspecting theatres and arenas of all sizes throughout the United States since 2006. In 2005, he received one of the first certificates granted by the ETCP in Arena and Theatre Rigging (Cert. # 0048). 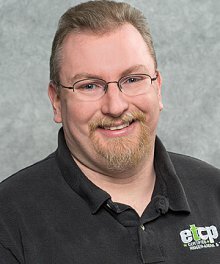 Gilson has established himself as an authority in the field, and since 2014, has served as an ETCP Rigging Certification Subject Matter Expert, a position which includes designing questions for certification exams. Gilson’s national reputation has lead him to serve as chair to several ESTA (Entertainment Services and Technology Association) task groups, whose goals are to establish ANSI standards for safety in the industry including topics in the areas of fall arrest and suspended rigging. Gilson is OSHA 10 certified (Cert. # 002371128). He continues his own education through trainings such as: ETC factory trained installation/technician of Prodigy Hoists, Tomcat U, Mountain Productions Hoist School. In 2012, Gilson became an ETCP Recognized Trainer and launched Entertainment Rigging Sessions to prepare today’s riggers for the industry’s explosive growth and to promote safety standards throughout it. These sessions are recognized by the ETCP as qualifying instruction for re-certification credits. Gilson is a member of the Event Safety Alliance and its Safety Summit Core Development Committee, whose goal is to coordinate with the ETCP to promote safety, training, and certification throughout the industry. Gilson has partnered with manufacturers such as Total Structures, the annual LDI trade show, the Event Safety Alliance, various colleges/universities, unions, and local manufacturers to provide educational rigging sessions, tailoring sessions to meet the needs of each class. Gilson continues to stay abreast of the latest technology and advances in the industry, sharing this knowledge with his students. Recently, Vectorworks has requested Gilson’s services to speak, as a user, with distributors about their new Braceworks software.